The countries of the Mekong should build a “community of shared future”, said China’s Foreign Minister Wang Yi, in December last year. The Lancang-Mekong Cooperative Framework (LMC) is “practical and highly effective”, he said. “We do not go after a high-profile ‘talk shop’, but a down-to-earth ‘bulldozer’”. China has managed to cement its influence over the transboundary river in recent years, in a move that has important implications for the riverine environment and the people that rely on its resources. Its primary vehicle, or “bulldozer”, the LMC, will drive dam and development projects, special economic zones and trade. It also illustrates China’s changing approaches to Southeast Asia – the central topic addressed recently in a policy forum The Third Pole and chinadialogue co-organised with the Centre for Social Development Studies (CSDS) and the Faculty of Political Science at Chulalongkorn University, in Bangkok. IN THE NEWS: "Flashing cash, China spearheads Mekong economic integration"
Chinese Prime Minister Li Keqiang used a visit to Cambodia this week to strengthen China-led economic integration across mainland Southeast Asia. Li celebrated his embrace of multilateralism with an op-ed penned specially for a Cambodian newspaper, and basked in China's triumph with its five southerly neighbors, all of whom share the Mekong, Southeast Asia's longest river. "Being located downstream, the lower Mekong countries have long struggled to negotiate with China on its dam construction upstream," said Carl Middleton, director of the Center for Social Development Studies, at Chulalongkorn University, in Bangkok. 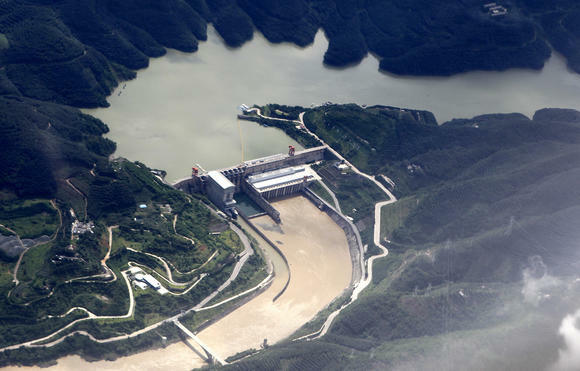 "A weakness of the current Lancang Mekong Cooperation Framework's approach is that there appears to be little interest by China to develop specific written rules for trans-boundary water sharing." China's determined push into mainland Southeast Asia lays bare the limits of existing Mekong initiatives supported by Japan, the U.S. and other Western nations, all of which focused on the five basin countries but shut out China. They pose little challenge to China, and are short on the verbal fireworks over another body of water in Southeast Asia -- the disputed South China Sea.